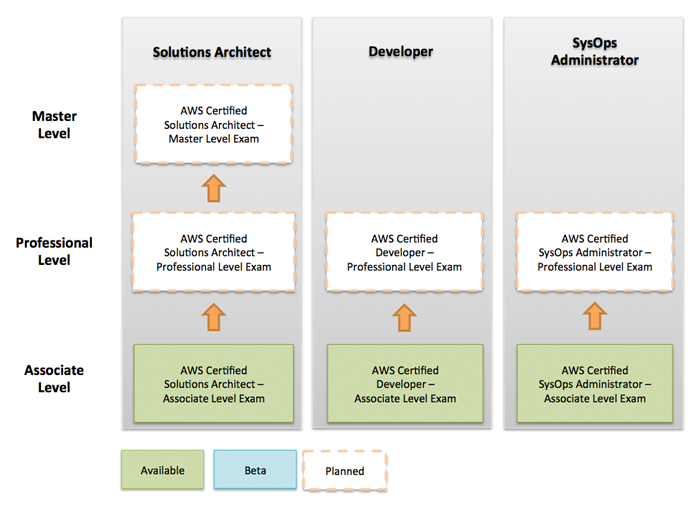 AWS currently offers three certification as shown in image below. CloudThat provides hands-on instructor led training for AWS certification in India, UK, USA and online to help you gain knowledge to be able to clear this certification. Click here to get list of all our training course or fill out the quick inquiry form for us to call you. AWS Certification Boot Camp training is designed to help you clear the AWS Solutions Architect Certification. Also read out blog article about clearing the certification here. AWS Developer Training is designed to help you clear the AWS Developer Certification. Read out blog article about clearing the developer certification here.